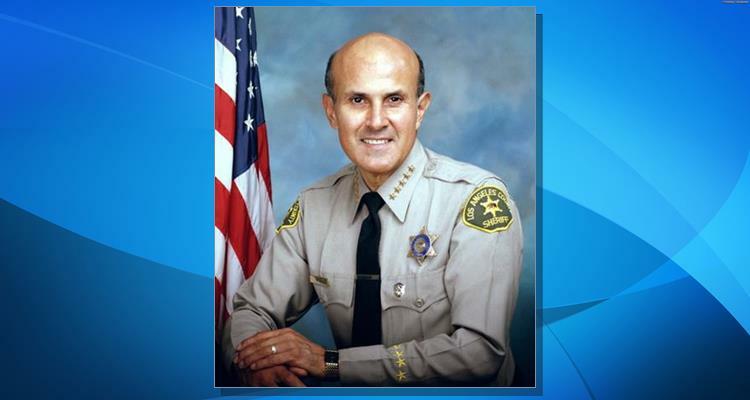 LOS ANGELES – A federal appeals court ruled Wednesday that former Los Angeles County Sheriff Lee Baca can remain free on bail while appealing his conviction for obstructing an FBI probe into the conduct of deputies in the jail system. “Baca has clearly and convincingly shown that he is not likely to flee or to pose a danger to the safety of any other person or the community if released, and the parties do not dispute this finding,” according to the two-page ruling by the U.S. 9th Circuit Court of Appeals. “We conclude that Baca has raised a `substantial question’ of law or fact,” the ruling states. Baca, 75, was sentenced in May to three years in federal prison for his conviction on charges of conspiracy to obstruct justice, obstruction of justice and making false statements. Baca’s attorney, Nathan Hochman, argued that U.S. District Judge Percy Anderson erred in barring jurors from hearing evidence of Baca’s “cooperation” with both the federal probe into wrongdoing by deputies in the jail system and an independent county review board, and that the panel should have heard about the ex-sheriff’s Alzheimer’s disease diagnosis. Hochman also said the use of an anonymous jury in Baca’s trial was a mistake that could result in a finding for a retrial. The appeals court ruled that the question about excluding evidence of Baca’s Alzheimer’s diagnosis “is at least `fairly debatable”‘ as it relates to whether it could have affected his conviction for making false statements. “Finally, the district court clearly erred in holding that Baca failed to carry his burden of proving by a preponderance of the evidence that he filed the appeal for a purpose other than delay,” according to the ruling. Baca — who ran the nation’s largest sheriff’s department for more than 15 years — was first tried in December on obstruction of justice and conspiracy to obstruct justice counts, and prosecutors had planned a second trial on the false statements count. But a mistrial was declared after jurors deadlocked 11-1 in favor of acquitting the former sheriff, and Anderson combined all three counts in the retrial that ended with Baca’s conviction. Baca did not take the stand in either trial. The charges stemmed from events six years ago when a cell phone was discovered in the hands of an inmate/informant at the Men’s Central Jail. Sheriff’s deputies quickly tied the phone to the FBI, which had been conducting a secret probe of brutality against inmates. 5 comments for "Court rules Baca can remain free while appealing conviction"
Maybe he can stay at Rex’s pad in Westfield while Rex kicks back at his Laguna mansion. Rex must be real rich. It goes to show that you don’t have to be smart or ethical to be rich. What happens when we don’t trust law enforcement? I have lived it, and witnessed brutality. This has been going on for a very long time. The whole system is broken.